LAST CALL: If you get skeeved out easily, you may think twice about catching the last days of Dead or Alive at the Museum of Arts and Design. 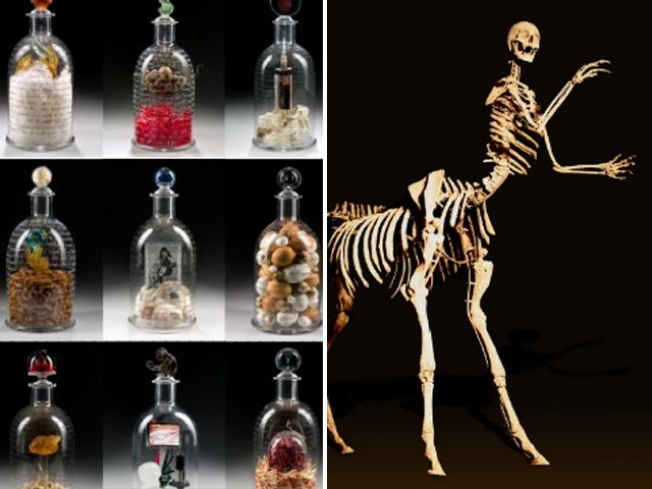 Some 30 artists from all over the world have created works from formerly alive things: That means hair, insects, bones and much more. Beautiful, affecting—and gnarly. 11AM-6PM daily; exhibit closes Sunday. WHERE THERE’S SMOKE: Soapboxing for legalized weed was never so much fun as with Cheech & Chong, whose Get It Legal tour lights up The Beacon Theatre tonight. Expect plenty of comedy, but with some serious undertones: These two are serious about their political cause. Also expect to be jonesing for Doritos afterwards. 8PM. LADLE WILL ROCK: It’s getting cold outside. There’s a pumpkin on your stoop. If you’re like us, you’re craving soup, the unofficial dish of autumn. And count on Boerum Hill to turn a vague gastro-fueled emotion into an event: At the Smith Street Soup Festival, taste nearly two dozen different hot pots from strip restaurants like Verde and Seersucker, as judges ribbon the winners. Saturday, 1-4PM.